Fundraiser by Aisha Stinson : Welcome Home Messiah Johnson! Messiah Johnson was wrongfully convicted of a 1997 armed robbery in Norfolk, Virginia, and he spent over 20 years in prison for a crime he did not commit. His case has many of the hallmarks of a wrongful conviction, including faulty eyewitness ID, police misconduct, and bad lawyering. The actual perpetrator has now confessed to this crime, and has confirmed that Messiah is completely innocent! 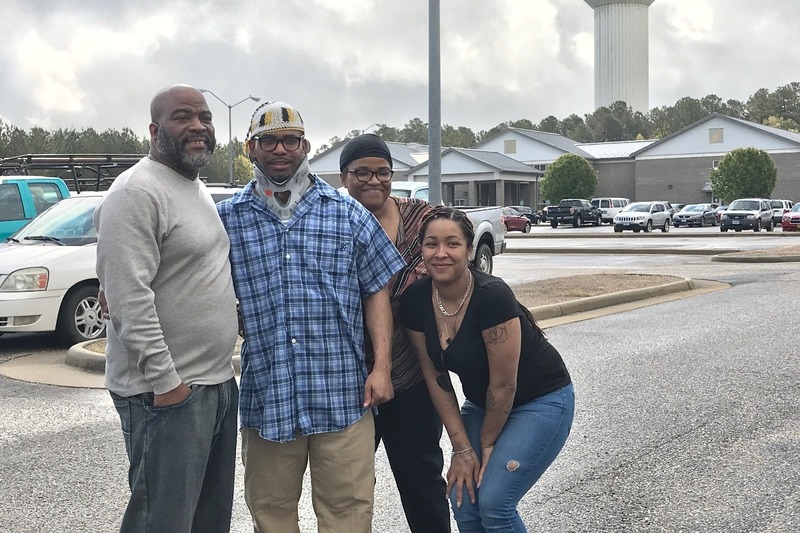 On April 25, 2018, Messiah Johnson finally walked out of prison, after receiving a conditional pardon from Governor Terry McAuliffe. News story about Messiah's release from prison. Messiah is represented by the Innocence Project at UVA School of Law, and he continues to fight for his full exoneration. In the meantime, though, he is trying to make a new life for himself, and he needs our help. Messiah will need to buy clothes, a car, and other basic necessities. Also, he is facing significant medical expenses related to conditions that arose and worsened during his two-decade incarceration. Messiah and his family sincerely appreciate any gift you’re able to make!